EH3500AC-3 has exceptional hauling capabilities and is built to operate in the toughest environments. The Advanced Hitachi AC Drive System ensures a smooth and quick operation, whether the truck is starting from a standstill, travelling uphill or performing steering manoeuvres. 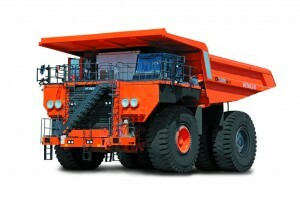 The pitch control system reduces bouncing and rebounding when the truck travels over uneven ground and comes to a stop. The side skid control system reduces the chance of slipping when the truck is turning in slippery conditions by utilising changes in the wheel motor torque from left to right during cornering. 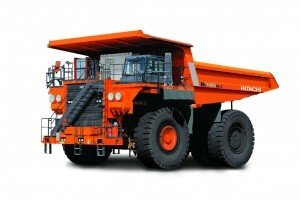 By reducing tyre slippage on acceleration and tyre lock-up during braking, Hitachi has achieved a high level of control on its dump trucks. The EH3500AC-3 has an impressive travel performance that ensures consistent haul cycle times, contributing to higher productivity. The spacious cab fits two full-size seats and has a large multilingual LCD display in clear view of the operator. This provides important information and alerts on operations such as travelling speed, engine RPM and hauling performance, and is invaluable for improved safety and easy maintenance. 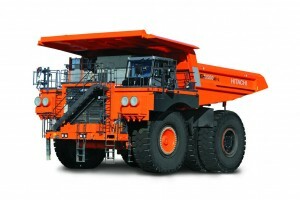 Hitachi has incorporated several features to make the EH3500AC-3 easy to operate. Only two pedals are required for normal operation – one for acceleration and another for the brakes. The levers and switches for operating the body and direction change are located on the centre console, which means that they are within close range of the operator and easy to use.